We offer a comprehensive range of exterior cleaning choices from post flight wipe down to full exterior paint compound. We use only approved aviation products applied with care and attention by our experienced teams. 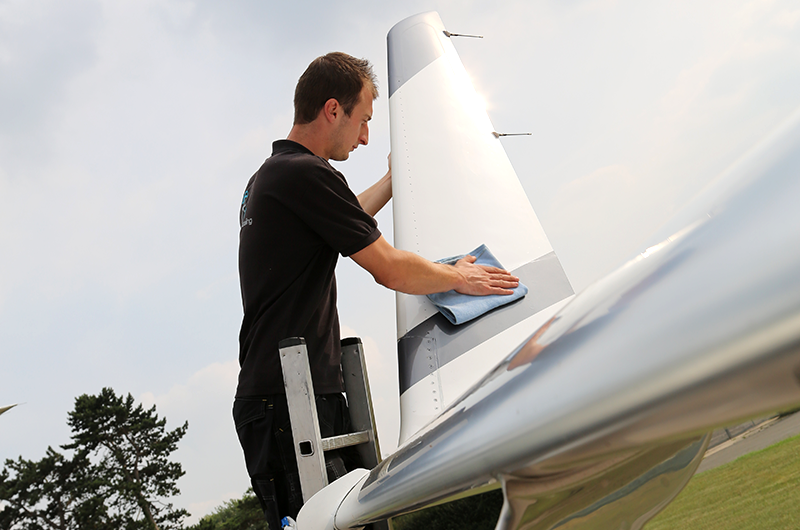 A dry wash procedure is used for most aircraft cleaning; this is the most effective way to produce the optimum finish. A wet wash technique is available but only at our customer’s request. 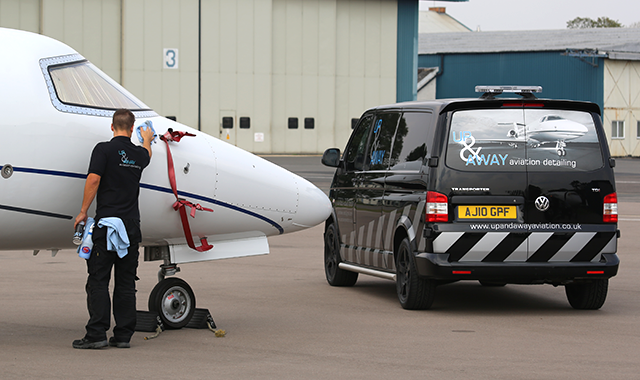 We also source and use cleaning and polishing products to the aircraft owner’s specification if required. 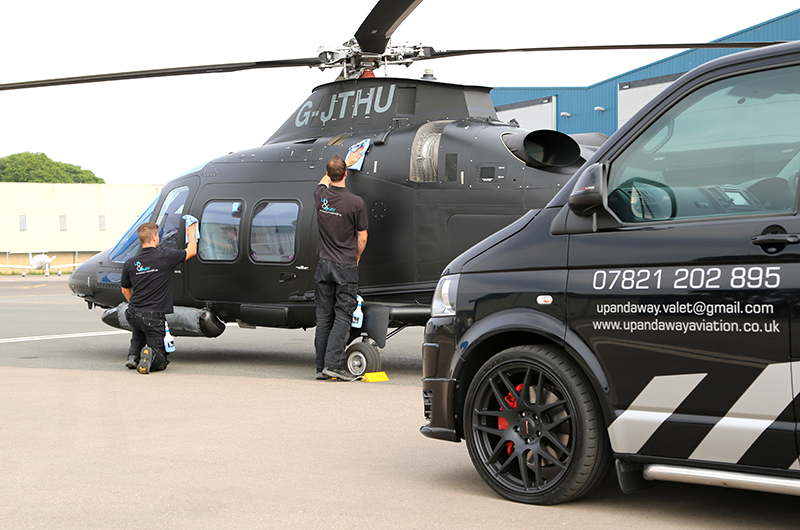 Up & Away detailing teams regularly apply Granatize, Nuvite and Aero Cosmetics in addition to other aviation products. They also use Xzilion, a paint and brightwork sealant, recommended by most business jet manufacturers including Boeing, Gulfstream, Dassault and Bombardier.